As Festivus is coming near… | What Would Hudson Do? 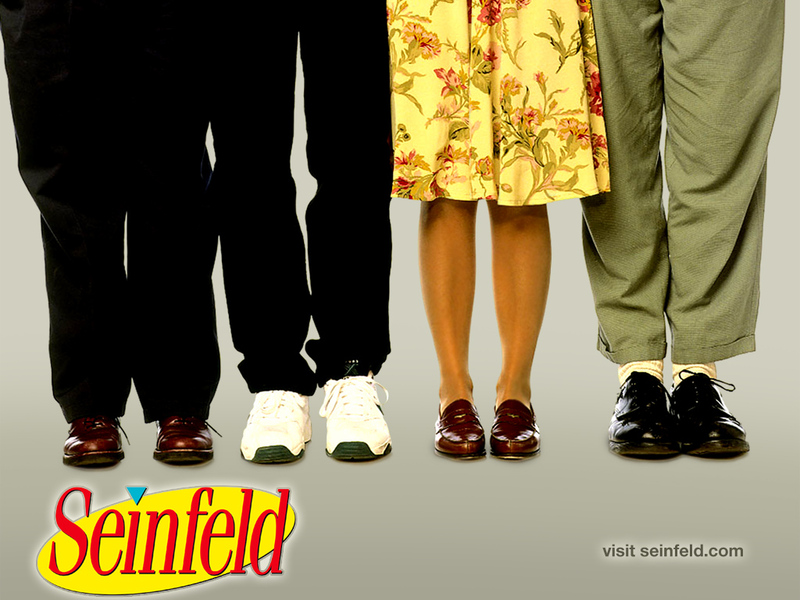 Here’s a list of the hidden easter eggs on the Seinfeld DVD sets. I’m currently in the process of re-watching all the episodes from the start (I don’t think I’ll get to the Festivus episode by the 23rd December though). Select the chili to view three minutes of camera tests for lighting and coloring of the apartment once the show was picked up after the pilot. The audio is a voiceover by Tom Cherones and Tom Azzari. Select the large fortune cookie and you’ll see an Inside Look on a discarded episode “The Bet”. Press ENTER. This will start a 15 minute segment called “Hey, Aren’t You?” including stories from the entire cast. This feature is also available on a bonus disc released as part of the Fifth Season set. In the Episode menu, highlight ‘Main Menu’ and press DOWN on your remote twice. The upper-left fill-out form will light-up. Press ENTER. This will start a 2 minute segment called “The Barmitzah of Robert Padnick.” Robert Padnick is the son of Castle Rock Entertainment executive Glenn Padnick. Highlight “Sein-imation: The Del Boca Vista Express” and press LEFT on your remote twice and the smoke from the ‘No Smoking’ logo will light-up. Press ENTER. This will start a 15 minute segment called “The Bench: Life Before Seinfeld.” Some of the cast & crew members and some of the guest stars explain what they did before Seinfeld came into existence. In the screen for “The Blood,” two similar Easter Eggs can be found. Highlight ‘Play Episode’ and press RIGHT on your remote. A key will appear. Press ENTER. OR highlight ‘Main Menu’ and press RIGHT on your remote. A fleur-di-lis will appear. Press ENTER. These Easter Eggs each show a different scene involving key grip Pete Papinickolas standing in for Lloyd Bridges (Izzy Mandelbaum). In the screen for “The Cartoon,” highlight the “blip” between ‘Episodes’ and ‘Main Menu’ and press DOWN on your remote. The head of the joystick will light up. Press ENTER. This will display Elaine’s pig cartoon (discussed in “The Cartoon”), with Elaine’s initials in the corner. In the Episode menu, highlight ‘Main Menu’ and press DOWN on your remote. The first fingerprint will light up. Press ENTER. This will start an “alternate ending” to the Seinfeld series. In the Extras menu, highlight ‘Scenes from the Roundtable’ and press RIGHT on your remote. A red frame will appear around the “Exhibit A” sticker. Press ENTER. This will start a Sein-Imation titled, “Conquering the Van Wyck,” from a Season 2 episode. This entry was posted in Misc and tagged dvd easter eggs, seinfeld, useful. Bookmark the permalink. I don’t have the DVDs! Wanna see! Gotta get my Festivus pole up. No Frazer dropping the N-bomb then? @Caroline – Get your Festivus pole from here: http://www.festivuspoles.com/pages/Festivuspoles.htm (the company selling them should’ve called themselves Vanderlay Industries, they missed a trick there). @G-Rock – Have you been watching the recent Curb series? It handles the n-bomb debacle nicely. I’m a record collector and DJ that’s known for playing a selection of hip hop, funk, disco, jazz and whatever else I can get my mitts on. Over the years I’ve made appearances at a number of clubs and bars across the nation and have played alongside lots of people you’ve heard of but won’t list here. I was also part of the Off The Hook Soundsystem, which ran a pretty good hip hop and funk night in the first half of the '00s. What you’ll find on here is a collection of my mixtapes for you to download for your listening enjoyment. I’ll also put other stuff up that I think you might like so dig in and enjoy yourselves.